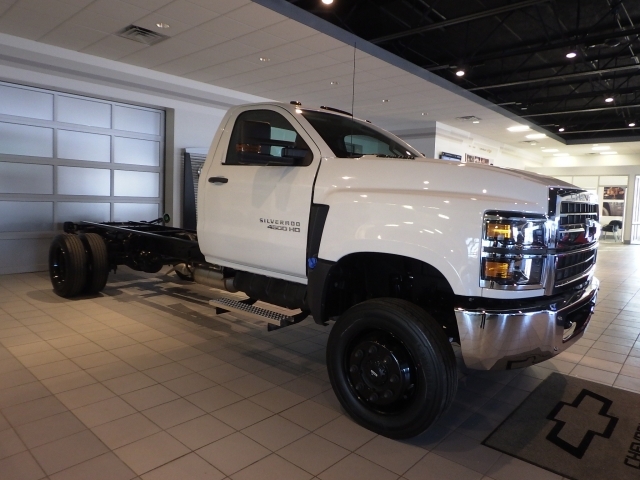 Cab Type: 2WD Reg Cab 176"
Additional Equipment: Pre-delivery Inspection / Provides "pre-delivery Inspection" At The Port In Cases Where The Vehicle Needs To Leave The Port Directly For The Final Stage Manufacturing Process And Will Not Visit A Dealer. Note: General Motors Company Will Not Pay Dealer For Pre-delivery Inspections, When This Option Is Selected. Ship Thru Codes: Ship Thru, Produced And Shipped To Supreme Corporation - Griffin, Ga / The Final Destination For Trucks Shipped Here Must Be Located In The Jacksonville, Fl Port Delivery Area. Trucks Requiring Delivery Outside Of The Jacksonville Port Service Area May Incur Additional Transportation Charges. Ship Thru Codes: Ship Thru, Produced And Shipped To Supreme Corporation - Goshen, In / The Final Destination For Trucks Shipped Here Must Be Located In The San Diego, Ca Port Delivery Area. Trucks Requiring Delivery Outside Of The San Diego Port Service Area May Incur Additional Transportation Charges. Ship Thru Codes: Ship Thru, Produced And Shipped To Supreme Corporation - Jonestown, Pa / The Final Destination For Trucks Shipped Here Must Be Located In The Baltimore, Md Port Delivery Area. Trucks Requiring Delivery Outside Of The Baltimore Port Service Area May Incur Additional Transportation Charges. Ship Thru Codes: Ship Thru, Produced And Shipped To Supreme Corporation - Cleburne, Tx / The Final Destination For Trucks Shipped Here Must Be Located In The San Diego, Ca Port Delivery Area. Trucks Requiring Delivery Outside Of The San Diego Port Service Area May Incur Additional Transportation Charges. Ship Thru Codes: Ship Thru, Produced And Shipped To Supreme Corporation - Moreno Valley, Ca / The Final Destination For Trucks Shipped Here Must Be Located In The San Diego, Ca Port Delivery Area. Trucks Requiring Delivery Outside Of The San Diego Port Service Area May Incur Additional Transportation Charges. Ship Thru Codes: Ship Thru, Produced And Shipped To Morgan Corporation - Morgantown, Pa / The Final Destination For Trucks Shipped Here Must Be Located In The Baltimore, Md Port Delivery Area. Trucks Requiring Delivery Outside Of The Baltimore Port Service Area May Incur Additional Transportation Charges. Ship Thru Codes: Ship Thru, Produced And Shipped To Morgan Corporation - Janesville, Wi / The Final Destination For Trucks Shipped Here Must Be Located In The Tacoma, Wa Port Delivery Area. Trucks Requiring Delivery Outside Of The Tacoma Port Service Area May Incur Additional Transportation Charges. Ship Thru Codes: Ship Thru, Produced And Shipped To Morgan Corporation - Rydal, Ga / The Final Destination For Trucks Shipped Here Must Be Located In The Jacksonville, Fl Port Delivery Area. Trucks Requiring Delivery Outside Of The Jacksonville Port Service Area May Incur Additional Transportation Charges. Ship Thru Codes: Ship Thru, Produced And Shipped To Morgan Corporation - Lakeland, Fl / The Final Destination For Trucks Shipped Here Must Be Located In The Jacksonville, Fl Port Delivery Area. Trucks Requiring Delivery Outside Of The Jacksonville Port Service Area May Incur Additional Transportation Charges. Ship Thru Codes: Ship Thru, Produced And Shipped To Morgan Corporation - Corsicana, Tx / The Final Destination For Trucks Shipped Here Must Be Located In The San Diego, Ca Port Delivery Area. Trucks Requiring Delivery Outside Of The San Diego Port Service Area May Incur Additional Transportation Charges. Ship Thru Codes: Ship Thru, Produced And Shipped To Morgan Corporation - Ehrenberg, Az / The Final Destination For Trucks Shipped Here Must Be Located In The San Diego, Ca Port Delivery Area. Trucks Requiring Delivery Outside Of The San Diego Port Service Area May Incur Additional Transportation Charges. Ship Thru Codes: Ship Thru, Produced And Shipped To Morgan Corporation - Riverside, Ca / The Final Destination For Trucks Shipped Here Must Be Located In The San Diego, Ca Port Delivery Area. Trucks Requiring Delivery Outside Of The San Diego Port Service Area May Incur Additional Transportation Charges. Ship Thru Codes: Ship Thru, Produced And Shipped To Morgan Corporation - Portland, Or / The Final Destination For Trucks Shipped Here Must Be Located In The Tacoma, Wa Port Delivery Area. Trucks Requiring Delivery Outside Of The Tacoma Port Service Area May Incur Additional Transportation Charges.